If you’ve ever read Nigel Slater’s autobiography, Toast, you’ll appreciate how bad food was for most kids growing up in the 1970s and 1980s. Teleport yourself to the mid 1990s and food-oriented shows were popping up on British TV in the form of Ready, Steady, Cook and Masterchef (though that possibly first appeared in the late 80s). And before you know it the 21st century is awash with celebrity chefs, a British food scene swimming in Michelin stars and a population with more than a penchant for eating out (and having an opinion about it, whether qualified to or not!). 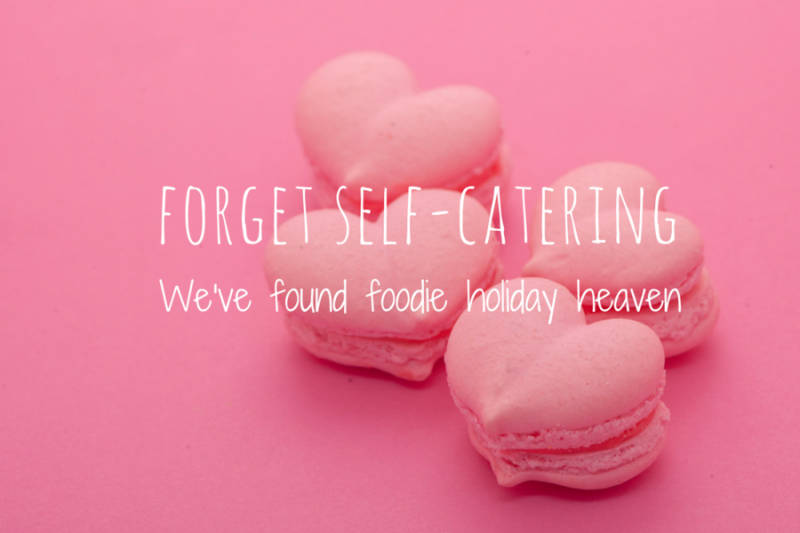 Self-catering holidays have followed a similar pattern, over time. I remember cold, neglected cottages from my childhood (and the awful food that was served up at dinner time, because the kitchen was so ill prepared – apparently!). Jump to today’s sharing economy and we’re spoilt for choice of holiday homes. We have come to expect quality holiday rental accommodation (including a decent kitchen and a basically supplied pantry). So as we find ourselves waving goodbye to another British summer and dreaming about next year’s holiday cottage, we’re soothed into autumn with a focus on food and the prospect of quieter holidays without the crowds. This autumn there is an abundance of foodie focused events, not to mention a flurry of locally organised food festivals. So we couldn’t let the month pass without a shout-out to some of our favourite British foodie producers. We’ve found these beauties while on our travels around the isle and at food festivals and foodie markets across the country. Make your next trip a foodie holiday to remember! We have to start with coffee, really. Coffee culture has gone bonkers in the UK and we have our favourite coffee shop haunts. Alas it’s not all good stuff. To feed our coffee habit, more and more holiday cottages are supplying Nepresso machines and the like, or including a fresh bag of ground coffee in their welcome hamper. But still, tucked away in cute corners of the country are artisan coffee producers who really light up your weary eyes. It’s time to get brewing at home with small batch coffee from the Black Mountains in the Brecon Beacons. It’s roasted in small batches so it’s as fresh as fresh can be for customers. You can buy beans or ground coffee. But the tastiest bit of all? It’s freshly ground to order, so you get it at its freshest through you door. Put the kettle on, dig out the cafetiere, we’ll be round shortly. Here, on the Oxfordshire-Berkshire border we’re a little bit spoilt for cheese producers and small cheese companies. We’re also a bit spoilt by food festivals at which we’ve discovered more than a cheese board’s allocation of dairy delights. We first came across Snowdonia Cheese at Blenheim Palace Food Festival. This sharp, yet creamy cheddar hidden inside its black wax case is the softest most flavoursome yet smooth cheddar – I’ve even seen children attack it with a spoon. Ahem. There are two heavenly shops for cheese fans nearby. Whether you’re passing through Watlington seeking a glimpse of where Brad Pitt filmed Fury, or tracking the River Thames downstream to Pangbourne, you’ll find a treasure trove of cheese in both villages. (There’s charcuterie and wine too, so allow plenty of time!). Berkshire is also home to Wigmore Cheese. It’s a semi-soft ewe’s milk cheese that’ll kickstart a party in your mouth and you can cook with it too! Fields of gold surround us during spring and in recent years we’ve seen a delightful niche of rapeseed oil brands raising their alternatives to olive oil for us to savour. This stuff is good for cooking or frying at high temperatures. It’s a bit of an acquired taste on its own on a salad but makes up for it everywhere. We’re particular fans of Stainswick Farm’s rapeseed truffle oil (drizzle a little on some pea soup – trust us, it’s divine). Then there Chiltern Cold Pressed’s smoked mayonnaise (it turns any homemade sandwich into a deli delight). However, Linseed is taking on rapeseed for the healthiest oil crown. And the charge is coming largely from the Linseed Farm in sunny Suffolk. Jam packed with omega 3, your brain will love this one. If you’ve got bottles of oil taking over the kitchen counter, you can opt for raw seeds instead (think bread, muffins, crunchy salad toppings). Whether it’s date night, steak night or a holiday meat treat on your shopping list, you need to fall under the spell of Wagyu. If you like your steak, this Japanese delicacy has to make it onto your fork at some point. But if it hasn’t yet (because restaurant prices can be a bit eye-watering), Warrendale Wagyu is the answer to your prayers. On a working farm in Yorkshire is a happy herd of Wagyu cattle, bred and reared to the same exacting standards to produce this exquisitely premium taste and marbling. You don’t have to go to North Yorkshire to get it either, there’s an online shop with next day delivery across the UK. Possibly the most quintessentially British seaside sweet treat there is? Our seaside towns in Devon and Cornwall would have us think so, anyway. There’s a fabulous fudge shop in Mevagissey (more oft frequented than I may like to admit!). And the fudge shop in Salcombe has been known to have queues tailing down the street. But if you’re not in the South West and need a fudge fix, or a beautifully packaged gift, you need Fudge Kitchen. If you enjoy city breaks in the UK you may well have come across them already in Oxford, Bath, Windsor, Cambridge, York, Canterbury or Edinburgh. The toffee making mistake (or ‘fudge’) that turned out to be a spot of sweet treat genius was actually a US invention. But Fudge Kitchen’s flavour combinations that’ll have you returning time and again include Double Trouble, Lemon Drizzle and the palate punching Dark Chocolate with Sea Salt (which also happens to be dairy free). You will thank us for this (or maybe not, depending on the seriousness of your sugar habit). We’ve shared our love of English wines in the past and craft brewers are almost two-a-penny these days. But cider is a thing of beauty if you’re in or from Somerset. Yet it’s a route to cheap inebriation if you’re a poor student yet to taste the good stuff. Ham Hill Cider does Somerset cider production more than average justice. This stuff actually tastes like apples and vintage cider apples at that. If you find yourself in a Wells’ holiday cottage with nothing to do on a Saturday, get yourself to the market to grab a bottle or two before stocks run dry. For those who enjoy a tee-total tipple, we couldn’t wait to tell you about our latest food festival discovery. Albeit not a British product (we think you’ll forgive us on this one though); it kicks every sugary soft drink into touch. Pimento combines tonic water, ginger and chilli to provide either a refreshing alcohol-free beverage or a tastebud tingling mixer for gin, vodka or rum. The genius of a Frenchman who is captivating audiences at food festivals across the south of England. Even the kids liked it! What about chocolate? We hear you cry. Well, we <3 the food of love so much we have a whole page dedicated to chocolate! And then there are those wonderful farm shops that sell their own produce, fresh from the farm, alongside some of these wonderful local and artisan products. When it comes to artisan food in Britain, we’ve got you covered. British Food Fortnight 2016 runs until 2 October. Got a favourite British food producer? Tell us all about them on our Facebook page. For now, bon appetit!